2016 saw Christian Voices perform a rewritten version of their play – Heart of Gold. When Ruth joins Naomi in returning to Bethlehem after they are both widowed, how will they be treated by their old friends? Can Ruth find love once more? A short book like Ruth can still provide a wealth of story telling and teaching to anyone willing to read with an open mind. Naomi‘s story is tragic, losing her husband and both her sons. How she is treated by her old friends upon her return provides a wonderful example of how to care for others in their time of need. Boaz is an example to all those around him. His willingness to talk to anyone of any standing in society and the way he treats his workers, again standout as exemplars that we can all try to strive to follow. Would we be able to give up everything we know and help another start a new life in a foreign land, like Ruth did for Naomi? Is this self-sacrifice evident anywhere in our lives? We all have different issues and prejudices that we long to will away. 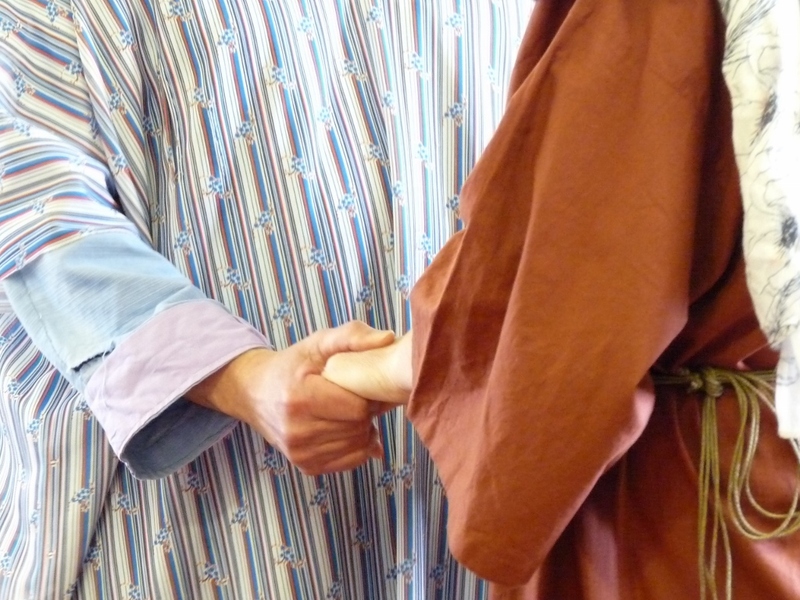 It is our intention that the joyful story of Ruth and Boaz presented in the play provides a lesson in hope for us all. On top of this are the wonderful songs written by Dave Chamberlin. He honestly seems surprised by the popularity of his songs – not least the stirring “Kinsman” in this play. In 2016 the rewritten play was performed by Christian Voices on six lovely days in April. The playwright was Alan Young and the songwriter was Dave Chamberlin. The play was directed by Caroline Cox. The original version was performed in 2009, details of which can be found here. We were very pleased to include Sarah Surman in the Christian Voices cast for the first time and to see extended scenes with our younger members, Jamie, Laura and Kristi (even with a broken arm! ).